pattern for it - my Vintage Furniture pattern. I had designed the pattern quite some time ago and was excited to finally sew it up. Since the original post about this project I completed two of the blocks pictured above! The plan is to make a mini with the couch in the middle and the chairs surrounding. 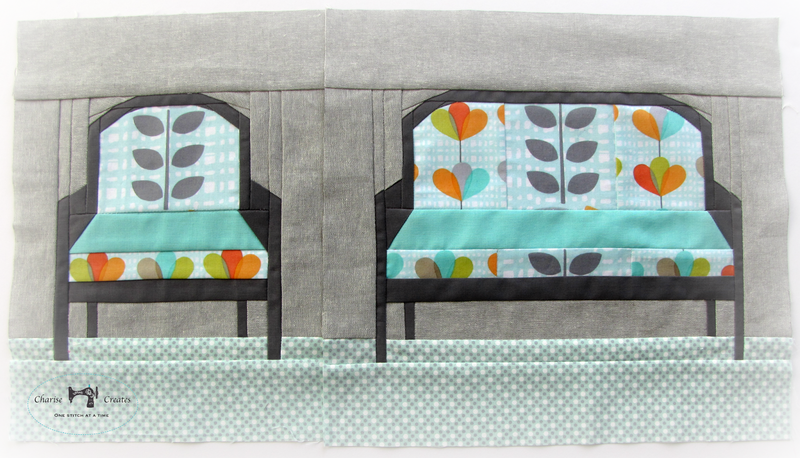 Or if I get uber ambitious it would be an adorable lap quilt for the couch. So sorry you missed the deadline.......but, I must admit I was so pleased to read the last sentence. I ordered some pretty solids today with these blocks in mind....guess I have to get some black as well for the chair/sofa legs! You win. I'm not a judge for the challenge, but if I were, you'd win. Marvelous! 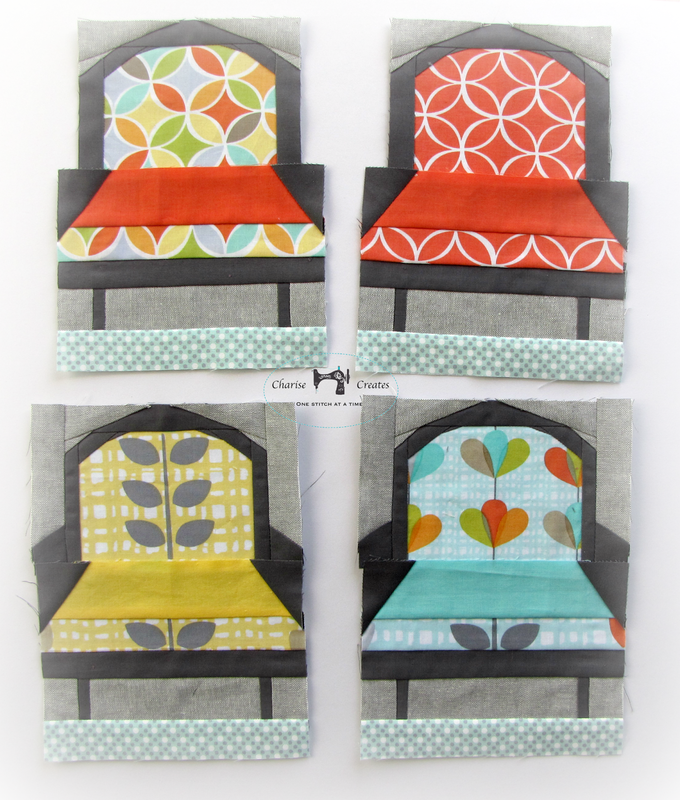 Your chairs and couch are adorable ~ love them! So glad you're publishing the patterns! So, cute! Love the furniture! The pattern is so adorable and they are a perfect fit for the fabric. Love the strawberries in a basket you have posted earlier too.